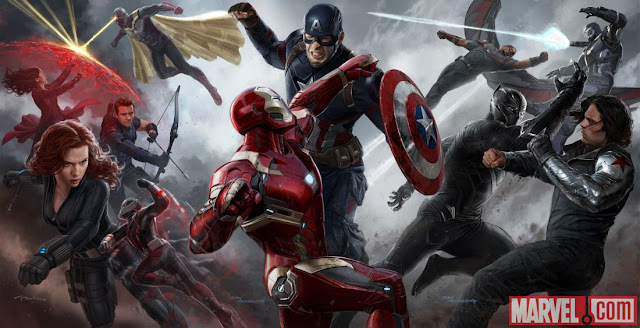 As if there was any question as to whether the latest entry in Marvel's best film franchise Captain America: Civil War was going to be good, an early screening to critics has brought overwhelming online praise. I'd post some tweets but you'll be seeing plenty of them for the coming month. In the meantime, check out these Civil War featurettes with interviews from the cast about their character's part in the showdown between Avengers. Scarlett Johansson, Elizabeth Olsen, and Emily VanCamp explore the heroines' new struggles and challenges in Marvel's "Captain America: Civil War," in theaters May 6! The stars and directors talk about making every character both protagonist and antagonist as friend battles friend in Marvel's "Captain America: Civil War," in theaters May 6! It's all led to this. Marvel's "Captain America: Civil War" hits theaters in just 1 month!